The Beatles traveled back and forth through the United States during the 1964 summer tour in an American Flyers Airplane Electra, N13H. 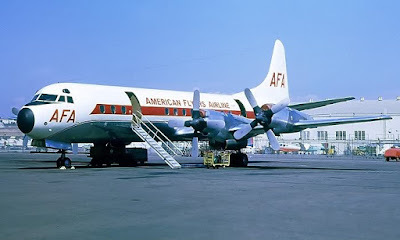 American Flyers Airlines had been founded in 1949 by a Texan named Reed Pigman. Pigman was quite the pioneer in early aviation and helped build airplanes during World War II. 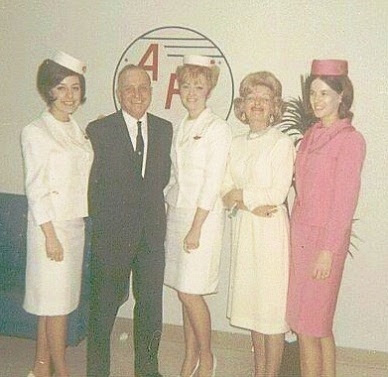 Reed Pigman was the not Beatles' pilot while they flew on the Electra, but he sure was proud of have the Fab 4 on his airplane. We flew from Dallas to an intermediate airport where Pigman met us in a little plane with the one wing, on top, and with one or maybe two engines. It was so like Buddy Holly, that one; that was probably the closest we came to that sort of musicians' death. I don't mean it nearly crashed because it didn't, but the guy had a little map on his knee, with a light, as we were flying along and he was saying, 'Oh, I don't know where we are,' and it's pitch black and there are mountains all around and he's rubbing the windscreen trying to get the mist off. Finally he found where we were and we landed in a field with tin cans on fire to guide us in. 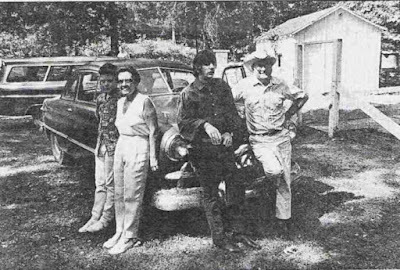 Reed was able to maneuver the plane through the difficult conditions and the Beatles landed safely and enjoyed their time with the Pigman family and their ranch. However, tragedy was right around the corner. On April 22, 1966 Reed Pigman was flying the same airplane the Beatles used during the summer of 1964, the AFA Electra N13H, He was taking some young army recruits to Georgia. It was a rainy, foggy night and Pigman was set to land in Oklahoma for refueling when he at the age of 59 suffered a major heart attack. The plane crashed near Ardmore, Oklahoma killing 83 of the 96 on board, including Reed Pigman. 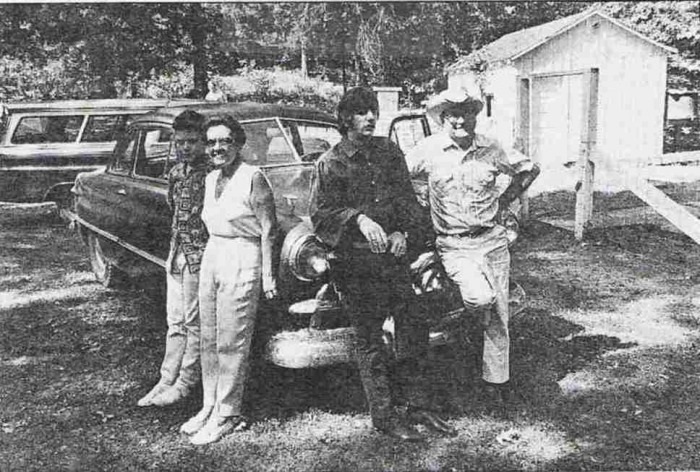 It is a very sad ending and yet an eerie one when you consider how George Harrison was scared of flying and considered his flight with Pigman as his "Buddy Holly moment."